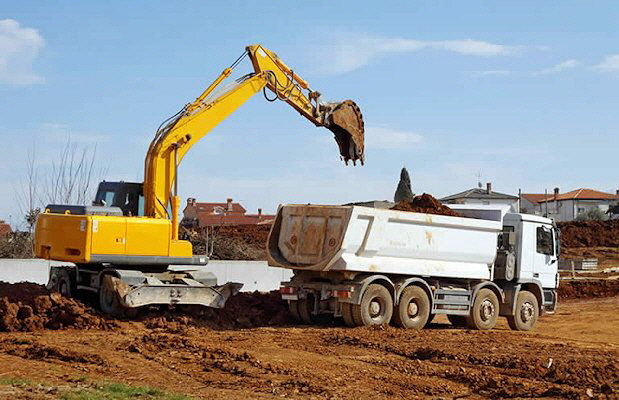 We provide a comprehensive “Muck Away Earth Waste Removal Service” for the construction industry. Hazardous (contaminated with diesel, oils or asbestos) site waste. Material can be moved loaded tipper lorries or grab lorries, where we can load it ourselves. Whichever is easier. We deal with construction waste efficiently and ensure all paperwork is provided on disposal. Sites require a soil report prior to removal. If you have a soil report we can give you a comprehensive breakdown of the makeup of your waste. we can also arrange a site visit to deal with your site clearance. If you do not have a soil report we can arrange for a UKAS approved soil specialist to attend site and take samples and provide a report prior to removal of your waste.